GALLOWAY TWP., N.J. -- A New Jersey man has been arrested for allegedly impersonating a soldier on Veterans Day. Michael Porter, 25, of Galloway Township, is charged with Impersonating Military Personnel / Stolen Valor. 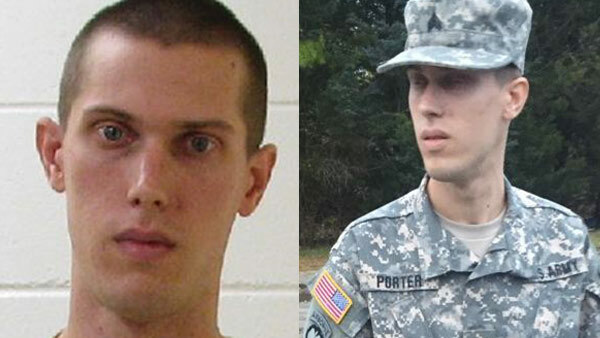 Investigators say Porter was identifying himself as a member of the U.S. Army Military Police on Wednesday. He was allegedly dressed in a military uniform in the area of a base near Pomona Road and Atlantic Avenue. Porter also had a portable radio capable of receiving transmissions from police and emergency dispatch centers along with handcuffs and keys, police say. He was sent to the Atlantic County Jail in lieu of $5,000 full cash bail.